Wonder what it is like being a home buyer these days? I am a fan of transparency. The two best attempts of creating an agent-ranking website got shot down by realtors themselves. But outside entrepreneurs keep plugging away, and one of them could find the right mix and hit the jackpot some day. Realtors complained about accuracy, but this is what we get instead – outsiders who are running an agent-referral business and using our names and numbers for eyeball bait. They hope you’ll inquire about an agent, submit your contact info, and then they will send you two other agents who are paying them a referral fee of 25% to 30%. I don’t know where this company gets their data. 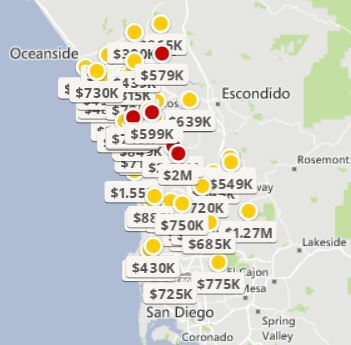 I’ve sold around 32 homes within the city limits of San Diego, but did they get that straight from the MLS? A title company? The average days-on-market should only be for listings sold – unless a longer average means the agent’s buyers are waiting out the sellers more effectively. On the MLS, my average days-on-market with sellers is 29 days, and buyer sales average 50 days so I don’t know where they got the 64.
Who knows about the 177. I have more than that on my Zillow count but they may have taken their number from a few years ago? BTW, Zillow finally corrected their sales counts. Each agent has their sales tally on their Zillow page, but Zillow’s 12-month timer must have broke because recently they had displayed my count for the last 17-18 months. I doubt any agents complained! It is back to the 12-month count now. Two broker-generated listing portals are being developed currently, and they should include agent statistics right off their MLS. They will have the accurate data at their fingertips, so let’s create a depository of identical stats on each agent so the public can educate themselves. Would it favor the old veterans who have more stats? It might impress the analytical people who crave data, but consumers should be willing to consider the whole package. If photos and video were included in each agent page, any realtor could create a compelling case on why people should use them. If agents don’t develop our own website, others like Zillow will keep doing it for us. Or we’ll leave it the way it is now, with agents being able to say whatever they want about themselves because there’s no public way to verify. Recently an agent mailed out a fancy brochure about being a rural-property specialist. But a simple MLS search of her sales revealed that she had never sold a rural property. She said she had 15 years experience, but she got her license four years ago. I guess she could have been an assistant, or sold in another state, but if you haven’t sold one here yourself in the last four years, then you aren’t a specialist. Yet many agents get away with it because there’s no transparency. Let’s provide a simple and identical set of data on every agent, and give explanations on how to interpret them. 1. He only sold 16 listings in the last 12 months? The blog drove a lot of buyers my way during the downturn, and I’ve been scrambling to generate organic listings since the REO listings dried up. 2. He sells them too fast. Sellers who think it should take months to sell a house will think I’m giving them away. But it is more a reflection of pricing accuracy and a hot market. 3. He doesn’t work my price range. 4. He doesn’t work my area. 5. He doesn’t sell my size of house. 7. He’s not busy enough. 8. He only works with sellers (I closed 17 buyer sales). If each agent inputted their own explanations, they could add texture to their stats, and make their case why they should be hired. Include a video presentation too (Zillow does). Consumers would be making educated decisions, and we as agents should not only applaud that, we should insist on it. Agents would have to get better at selling themselves, and those that do would get the business, regardless of experience or sales history. I am uncomfortable displaying my stats – people are prone to poke holes and find faults. It’s why realtors don’t want data released! But we should all get used to our sales histories being public, because one way or another it is happening – with or without us. Let’s make the best of it! The son of a past client scored a good job in San Francisco a few years back, and is looking at 1-bedroom condos going for $700,000 – $800,000. They wondered if I had any tips. Good golly, at that rate I better come up with something! 1. Get a good realtor. These high-dollar areas pay big commissions and thus, attract plenty of real estate licensees. But you need a great agent who knows more than you do, and brings extra value to the equation. Ask how many times they’ve talked someone out of buying a home recently. Not only will a great agent make you feel comfortable about the price/value equation, but their market cred will help too – because good agents want to work with good agents. It happens regularly that my personal relationship with the other agent makes a difference in the outcome. How do you find a good agent? The best luck I’ve had is searching for agents at Zillow, but you have to read through sales histories and testimonials (in that order) of each agent to find the right fit. Also check their recent sales history to see if they have been selling similar homes and/or working your area. An agent’s recent sales is the best measure, and not only is she selling 3-4 per month but she also lists her annual production too – and she was consistent during the downturn. She has been a realtor for 20 years, and has over 300 closings submitted to Zillow. She has three listings, which, in this market, is about right – if you are good, they should be selling, not sitting. Plus she has a 1-bedroom listing for $735,000! I don’t know if she passes you off to an assistant, but if not, she’s a qualified possibility. The agents input their own listings and sales history, and Zillow provides a form for them to email to past clients to solicit their testimonials. But all of her client ratings were the full five stars, which is exceptional. 2. Buy For the Long-Term. You may get stuck with this one for a while, so make sure you get what you want and need. Keep exploring other areas for alternatives you haven’t thought of yet. 3. Know the Inventory. You may only have minutes to make decisions, be prepared. Get auto-notifications of new listings to stay up on the market, and go to open houses – not just to find a home to buy, but also to study the market patterns. You may not buy this one, but when you see it go pending, know why somebody else found it attractive. If nothing else, at least be an online expert that follows the data closely – and don’t be surprised if you keep seeing crazy sales; they are almost always attributed to buyer frustration and lousy representation. 4. Get Pre-Qualified. Once you select a realtor, get pre-qualified for a mortgage using their recommended lender – they might bring some street cred too. You either use a 20% down payment or you don’t, and either is fine. If you don’t want to use a 20% down payment, you can do an 80/10/10 (1st and 2nd loans) that will at least lock you in to a low-rate 1st mortgage for the duration. If you end up with less than 20% down and only want a first mortgage, you need PMI – private mortgage insurance. But if you get lucky, you can have the seller pay the entire premium up front (around 3%), so it won’t cost you anything monthly. 5. Know the Contract. With Docusign, the electronic-signature process, signing a contract goes a little too fast. Instead of reading the contract together with your agent in the corner booth at the local coffee shop, today you just rapid-click on your phone or PC to imprint your initials and signatures and whoosh, off it goes. Know what you are signing! The two most important paragraphs are 3K and 14. 6. Time is of the Essence. It is likely that most buyers will lose at least one property because they don’t react fast enough. I just had a case where I called the listing agent of a house that my clients had just decided to buy. The listing agent told me that she had been working back-and-forth with a buyer and other agent, and had just received a counter-offer that was acceptable to her sellers – and she was about to send it to them for final signature! In these moments, your agent has to say the right thing. In this case, not only did I stop the agent from signing a cash offer, I got her to accept my financed buyers’ offer instead! This is a fast-moving environment and each day the best deals get picked up – if you like a home, chances are somebody else does too. 7. Consider Fixers. Be picky about location and floor plan, because you can’t change those. But most buyers shy away from homes that need work, which can open up opportunities. Get comfortable with the costs of fixing in advance, and know what you are looking at. You can get a full evaluation and cost estimate during your contingency period. 8. Make Offers. Once your first salvo goes over the bow, the comfort level improves greatly. Include a love letter that tugs at the sellers’ heartstrings. 9. What to Offer. The price to offer is directly related to the time on market. If it is the first week of the listing and you recognize it to be a good value, you will probably have to pay all the money. But I hate to offer full price, because in the first week the sellers want to dicker, and full price doesn’t give them anywhere to go. 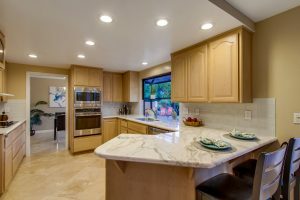 If you know there aren’t any other offers, then come in $20,000, $30,000 or $40,000 under the list price so the math is easy for the seller to split the difference. If you hear subsequently that there are other offers, re-submit your offer with a higher price so you don’t get forgotten. You and your agent need to be bidding-war experts. 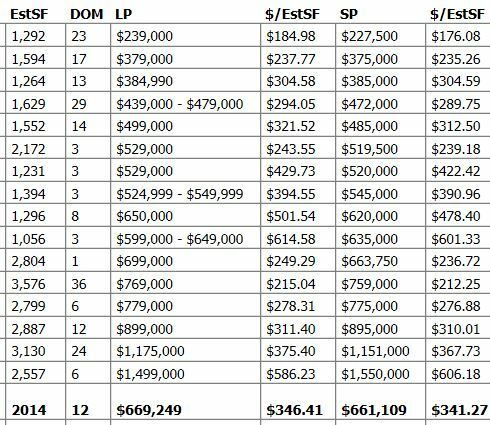 The low-end is what’s moving the fastest, and though $700,000-$800,000 sounds insane for one-bedroom condos, it is what it is. Plan on devoting time and energy to this project. The more invested, the better the results! This video shows an example of the case I would prepare on behalf of a buyer making an offer on a house in Bird Rock – it demonstrates the supporting data I would use to back-up my buyer’s offer price. You would think that this is standard practice for agents, but surprisingly, hardly any do it. When I represent sellers, I would send comps with our counter-offer to support the seller’s price! What’s the point? With the lack of comps, there is a 5% to 10% swing in price for any house. The final sales price is usually determined by which agent has the better powers of persuasion. 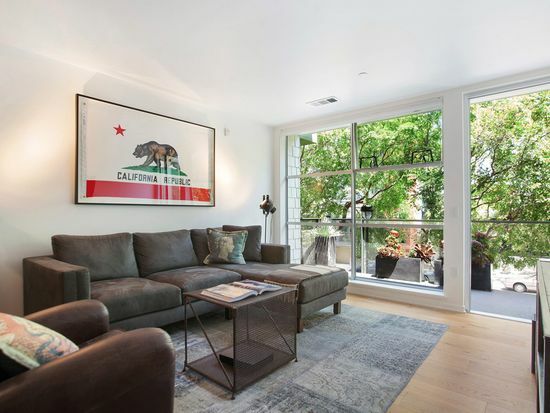 The Chelsea listing agent is a 30-year veteran of the business, yet she had only one closing this year – for $280,000 – before this one closed. I called her for an explanation as to why the sales price dropped to $975,000 from a list price of $1,185,000, and she said, “the sellers wanted to sell”. We call that the “Ole close” – she just got out of the way. Get good help!